Bright and big, our premium quality finish enlargements make photos come alive. Mounted prints are a unique and an elegant way to feature your favorite photos. Our wood mounting process permanently bonds images to a 8mm thick piece of stabilized hardboard. The surface is treated to protect against moisture, dust, dirt, and fingerprints. 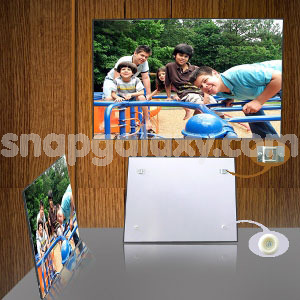 Larger photo panels are equipped with brackets to mount on the wall. High quality finish offers vibrant colors and sharp, crisp images. Printed on high-quality Edge Glossy finish paper.